A Pasadena native, John Burton graduated from UCLA in 1976 with a degree in Anthropology. He completed Hastings College of the Law with his juris doctor in December 1978. Admitted to the State Bar of California in May 1979, Mr. Burton has concentrated on litigation involving the public interest and civil rights in both state and federal trial and appellate courts. 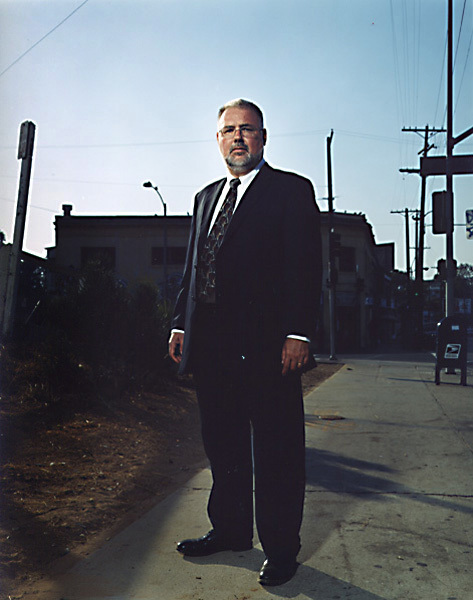 In addition to his public-interest oriented law practice, from 1981 through 1989, Mr. Burton was an adjunct professor of Torts at the University of West Los Angeles School of Law, where he instructed first year law students. Mr. Burton opened his own practice in May 1984, focusing primarily on representing plaintiffs in police misconduct actions. In 1989, he earned an A-V rating from Martindale-Hubbell, placing in him the top ten percent of lawyers nationally, an exceptional achievement for a solo practitioner specializing in plaintiffs’ civil rights actions. Mr. Burton has been recognized as a Southern California “Superlawyer” sincce 2009. With his Peter M. Williamson, Mr. Burton has the only plaintiffs’ products-liability verdicts to date against TASER International, Inc., for deaths caused by Electrical Control Devices (ECDs). Mr. Burton is featured prominently in the documentary on TASER International, Killing Them Safely. Mr. Burton has been profiled in Los Angeles Magazine and The Los Angeles Times, and quoted on numerous occasions in the New York Times and local newspapers, particularly The Los Angeles Daily Journal. He appears periodically on national and local television as an authority on issues relating to civil-rights litigation and the use of ECDs. His work on ECD cases has involved representing plaintiffs throughout California, and in other states including Nevada, Missouri, Michigan, Ohio and North Carolina. Mr. Burton is President of the Board of Directors of the National Police Accountability Project (NPAP) which has an active membership of more than 600 police misconduct lawyers in the United States. Mr. Burton speaks frequently at seminars, usually one or more times a year, addressing fellow plaintiff lawyers, defense attorneys, police officers and paramedics. Mr. Burton is a member of the Socialist Equality Party, and ran for California governor in the 2003 Recall Election, finishing 14th in a field of 135 candidates with approximately 7,000 votes. He contributes commentaries on legal and social issues to the World Socialist Web Site and to The Los Angeles Daily Journal.